Having published her first story as recently as 2012 — that date surely seems barely in the rearview mirror to me, although your personal chrono-mileage may vary — Sarah Pinsker has accomplished a lot. With nearly fifty stories to her credit, and a couple of major awards, she has established a solid foundation for a long and illustrious career. Her first collection showcases a talent that resonates with classic grandmasters of the past–folks like Bradbury, Ellison, and Sturgeon — and also vibrates to contemporary forces, such as Karen Russell, Jonathan Lethem, and Kelly Link. This generous assemblage from Small Beer stands out as one of the best debuts in recent years, and should serve to introduce her to a wider audience than just those folks who fervently follow the genre magazines. Small but significant techno breakthroughs — a cybernetic arm, in this case — are often introduced into SF stories as faits accomplis or even mere window-dressing, without attempting to plumb the depths of how they would really feel to future citizens. In “A Stretch of Highway Two Lanes Wide” Pinsker delves into the surreal involuntary imaginings of a young farmer named Andy, whose new prosthetic seems to have become geographically entangled with some distant macadam, and is transmitting that imagery to his brain interface. With Borgesian precision, “And We Were Left Darkling” conjures up an epidemic of dream children who suddenly manifest in reality. 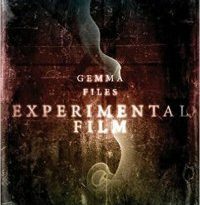 We witness their psychic impact through the eyes of one “mother” who loves her creation despite society’s resentments. Dropping the word “cuckoo” makes us think of John Wyndham, natch. How to combat military PTSD? Very simple, says “Remembery Day”. Just draw down a “Veil” across the harshest memories. But then how can a child ever get to know the true nature of their veteran mother? Issues of numbing safety versus painful wisdom are deeply illuminated in a short space. The title story, “Sooner or Later Everything Falls Into the Sea”, takes place in a post-collapse scenario. When a lounge singer named Gabby is cast adrift from the exclusive floating survivalist community she inhabits on sufferance of her betters and comes into contact with Bay, a no-nonsense landswoman living hand-to-mouth, she experiences life from an unplumbed angle. Bradbury’s “I Sing the Body Electric” surely figures in Pinsker’s inspiration for “The Low Hum of Her”. An artificial “Bubbe” helps a refugee family through its dislocations, despite some initial resentment on the child’s part. “Talking with Dead People” postulates a fresh use for what Rudy Rucker dubs a “lifebox:” a low-grade AI module that attempts to emulate the mind of a person. Two women have the brainstorm to create dioramas of famous crime scenes embedded with such interactive avatars. It’s a kind of dicey business with dubious ethics that’s bound to recoil on the perps. A piece of gonzo flash fiction, “The Sewell Home for the Temporally Displaced” pulls a deft Billy-Pilgrim style maneuver — characters unmoored from time — in a very compact yet touching scene. A cross between James Tiptree and Zenna Henderson, “In Joy, Knowing the Abyss Behind” charts the life story — in realtime and flashbacks — of an elderly couple very much in love. The husband, incapacitated with a stroke, is troubled by a deeply buried secret he cannot now reveal. But his wife manages to uncover the hidden crisis point, opening up a chance for future closure. But the essential core of the tale are the lovingly evoked family dynamics. A new twist on mermaids? That’s what we get in “No Lonely Seafarer”. Its pre-technological venue makes the motif more impactful, and the young resourceful protagonist shines. “Wind Will Rove” finds us on a generation ship that’s been deprived of much of its pre-stocked cultural heritage. Pinsker deploys her own musical talents (she’s had several albums of her songs appear) to dramatize how one ambiguous tune and its various incarnations can wend its way through many lives, with impacts both personal and societal. Music is at the center also of “Our Lady of the Open Road”. In the near future, the honorable tradition of touring for live performances at local dives has been rendered practically extinct by online holographic platforms. But our heroine and her band, Cassis Fire, continue to hew to the old ways, though they are on the ragged edge of endurance. Do they cave in to the new, or go down valiantly? James Blaylock or Tim Powers might have written “The Narwhal”, a story appearing here for the first time. Lynette’s gig economy job finds her as co-driver of a whale-shaped art car heading cross-country. But when they reach a certain town — by accident or fate? — the car’s history proves highly consequential. What is the nature of SarahCon? Merely a convocation of scores of Sarah Pinsker doppelgangers from across the multiverse. But it’s not all mirror-image fun and games in “And Then There Were (N–One)”. Our viewpoint Sarah, an insurance investigator, is tasked with solving a murder. Consider this humorous yet ethically deep tale as a cross between Varley’s “The Barbie Murders” and Gerrold’s The Man Who Folded Himself. Even when she’s being playful, as in the final two items, all of Pinsker’s narratives have a certain gravitas to them. She starts with her novum, and pursues its often tragic potential inexorably to a dramatic end. Her prose is meticulously engineered, not showy, and with no real “snake-hands” (to employ that Crowleyan term for amusing sidetrips). She loves the classic tropes of the genre, yet infuses them with an up-to-the-minute sensibility. In short, she’s the sharp tip of a very ancient sword. 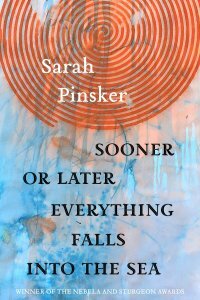 If Pinsker’s forthcoming novel, A Song for A New Day, hews to the high standard of her short fiction, we will all be in for an exhilarating ride in a literary vehicle handcrafted with precision and grace.